I missed Wilhelm’s post on raiding – I must have skimmed through my RSS feeds too fast, trying to catch up over the long weekend. I cannot name a single raid in LOTRO. I know one *raises hand*. Anyway, just teasing a bit. 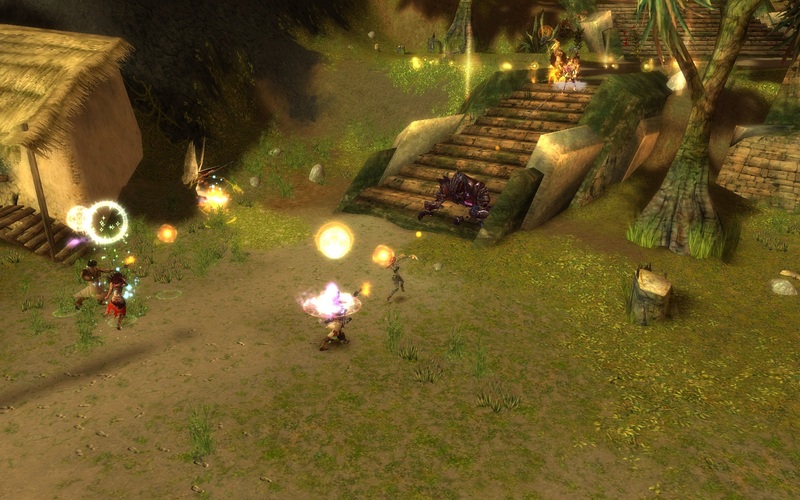 The reason this comes to mind is that the Rift is one of the few raids I’ve done, in any MMO I’ve ever played. AC didn’t really have raids, I think the closest large group high level content was the Lady Aerfalle quest chain on Aerlinthe island. I took part a few times. GW didn’t really have raids, instead it had elite missions sprinkled around. Those weren’t multi-group, and portions of some were soloable. I did most of those, several times. 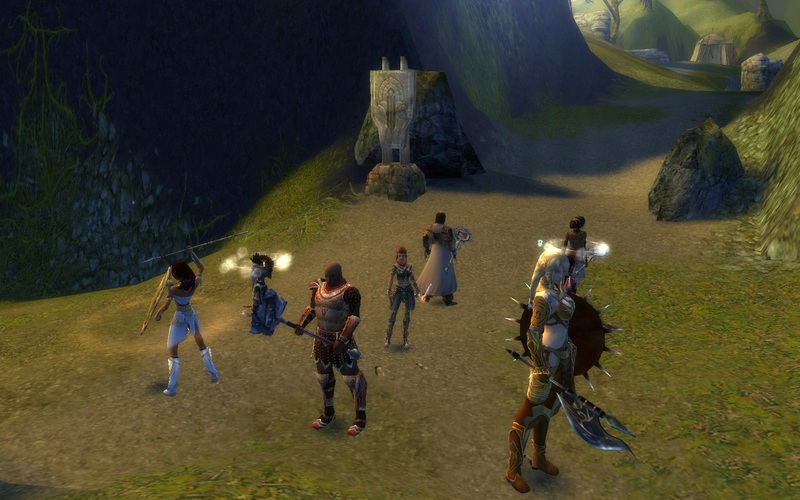 GW2 falls into a new design offering landscape events with no fixed upper limit on players and no formal grouping. These are also shorter in duration than typical raid content. I’ve taken part in a few Living Story events, a few wandering dynamic event groups, and a few dragon kills (Tequatl). LoTRO, I mentioned above. The one LoTRO raid I’d always heard about when my kinship was active was Helegrod. But we couldn’t field 24 people for the Dragon wing so we did the Rift instead. 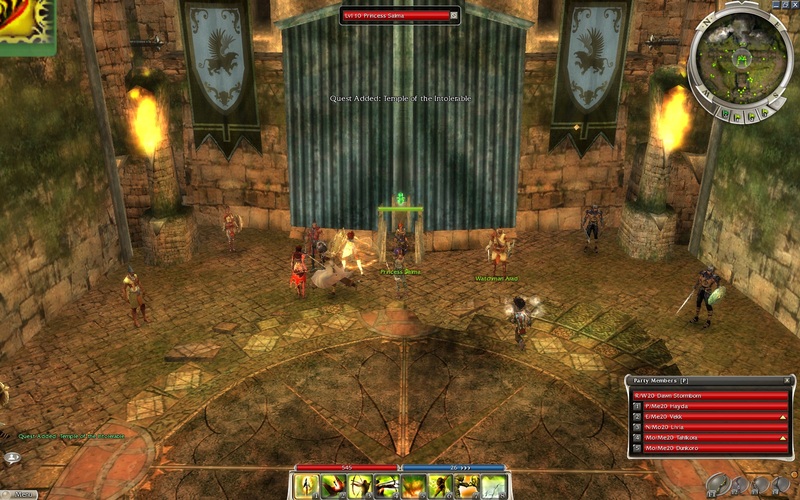 Oh, the LoTRO Wiki has a list of raids, and I count 17 non PvP ones (counting Helegrod as 4 raids). Two of the ones in Angmar, Bogbereth and Ferndúr the Virulent, and Filikul in Moria, are essentially single boss battles with trash mobs, so they are quite short compared to a typical raid. I remember doing Vile Maw once… anyway, the Rift is the one I’ve done many times, although the last time was years ago. WoW? I never made it to the end-game content. 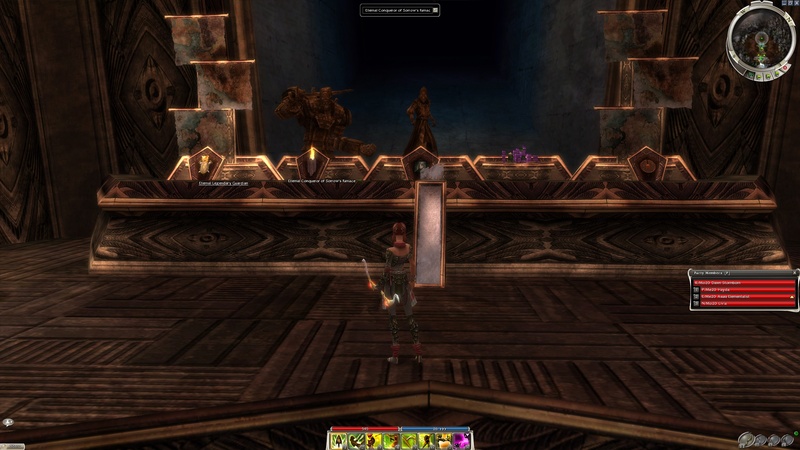 I did a few dungeons here and there, but by the time I started playing, it seemed like the only lower level characters around were alts of people that raided, so it was all about grinding to max level and it was hard to find a group to do any of the content along the way. EVE? Well, I’ve never even been in a fleet with anyone else, so no “raids” or the EVE-equivalent of “ginormous space battle”. I am thinking of moving Aurora to a PvP corp as two wormhole PI farmers should be plenty. I’ve dabbled in a bunch of other MMOs, but not enough to get to the “raid” content in them, if there is any. It might seem like something drastic is lacking in my MMO experiences. However, as much fun as I had raiding in LoTRO in the Rift, I’m not really eager to become a raider. I had more time for playing MMOs back then; now I can’t imagine devoting 4+ hours 2 or 3 times a week to work through raid content! Even though Guild Wars 2 is almost out, I am determined to finish up the War in Kryta content. 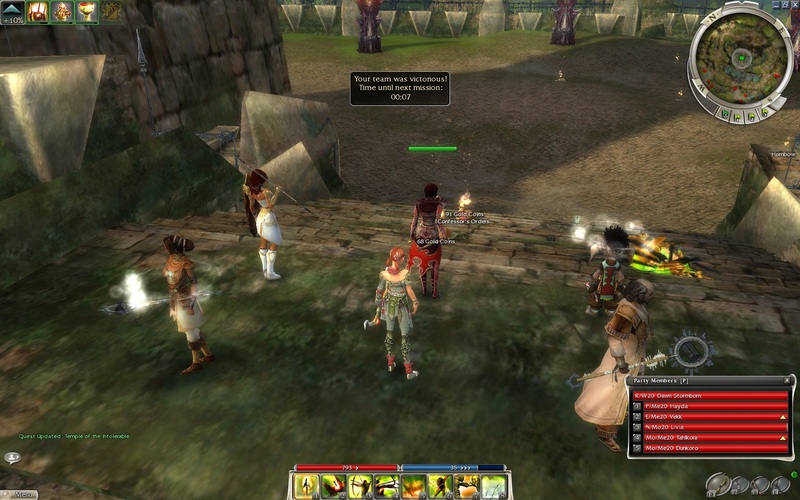 First I went to see Princess Salma in her area in Lion’s Arch, to pick up the quest. I hurried along and spoke to Jiaju Tai and soon found myself fighting my way through D’Alessio Seaboard making my way to the Temple, where Koril the Malignant was. Most the fights were straightforward with the usual caveat of picking the location carefully so as to avoid extra patrols. Inside the Temple, the fights were tougher as there wasn’t as much room to maneuver, and the patrol frequency was faster! After clearing for a bit, Koril was alone… with a group on the right I quickly dealt with. Being the boss, he summons reinforcements when his health drops to certain levels. I fought him by spacing out my heroes via the flags, so that Koril’s Vampiric Swarm necromancer skill didn’t hit all of us bunched up. And as we fought, I regretted not changing my build over to a Broadhead Arrow build, because Koril was able to heal with Life Transfer as well, and all I had for interrupts was Savage Shot (plus of course what interrupts I had loaded for the heroes). I’m not the greatest interrupter, and was only able to catch 40% to 50% of the ones Koril used, but the heroes did fill in a few times as well! There was a time when the battle got really ugly – Koril was down to 25% health and summoned reinforcements, and the tide turned very quickly – only 2 heroes were left alive. I thought we would soon fail and have to start over, which would allow me to use a different build… but miraculously, both heroes survived to rez 2 others (including me), and the 4 of us were able to finish off the reinforcements to create some breathing room. During this time, I decided to use some boosts I carry around – Armor of Salvation, Grail of Might, Powerstone of Courage – hoping the stat bumps and death penalty wipe would make a difference. Those items are valuable, but then if I hoarded them and never used them, what good are they? Never using them is like not even having them in the first place! We kept fighting, and things started looking much better when the other two heroes were rezzed. 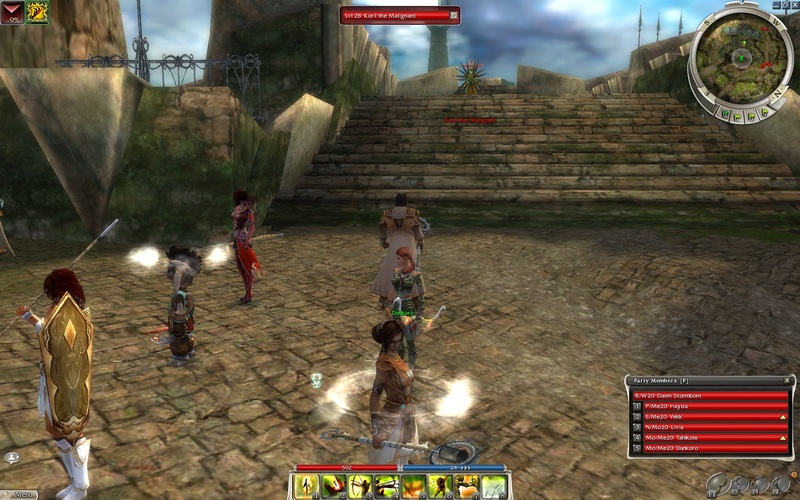 A few tense moments later, including battling Koril’s reinforcements when he hit 10% health, and we were victorious! After seeing Princess Salma, I picked up the next quest in the series: Mustering a Response. Playing in the GW2 weekend preview got me a bit excited about GW again. So I concentrated on finishing off some quests for trade contracts, scoured my inventory for anything valuable to sell (fortunately I had a stash of diamonds which were worth a decent amount at the trader), and grinded a bit for money. And so, I *finally* got enough money together to buy the materials needed for Vabbian armor, for my main char Dawn. The significance with this armor is that it gives me 3 Hall of Monuments points – 2 for having Vabbian armor, and 1 more displaying 5 sets of armor! Of course, that awesomeness is tempered by the fact I was at 30 points, so 33 doesn’t get me anything new other than being closer to 35 points, the next reward level. I’m not complaining though, it may be possible for me to get to 35. I counted up my minipets and I have 48 of them. So just 2 more of those (ones I don’t have that is) and I’ll hit 50 which will give me another point. Unfortunately this one comes down to luck. I could do challenge missions and outfit more heroes with armor, or grind for more weapons… anyway, 35 is definitely a possibility, and if I don’t make it that’s OK too. 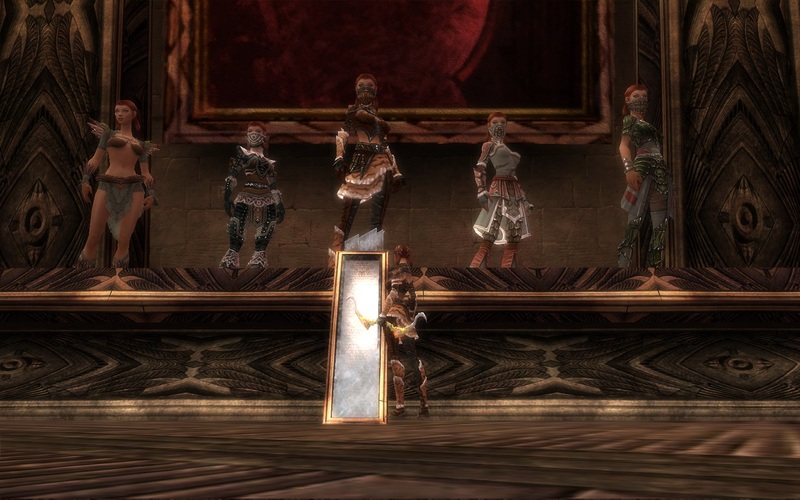 As much as I love Guild Wars – I played a huge amount from 2006 to 2007 – I can’t seem to get motivated to return for any significant length of time. After taking many characters through Prophecies, Factions, and Nightfall, I was burned out. I only finished Eye of the North on 2 of them, only finished the Bonus Mission Pack on 1, and only started the Guild Wars Beyond content. 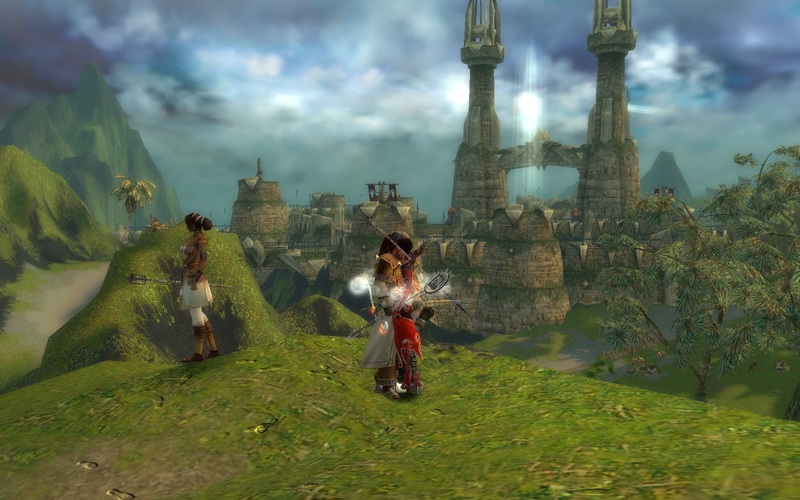 So I have this unresolved issue with Guild Wars – I’d like to finish up Guild Wars Beyond before Guild Wars 2 releases. 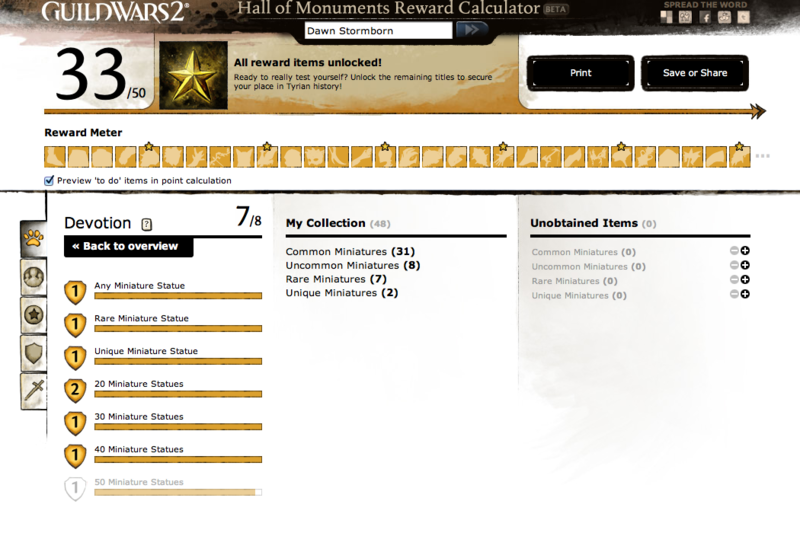 I hope when ArenaNet announces GW2’s release date, that impending deadline will be the motivation I need to finish up! I wanted to play some LoTRO, but get some variety on another char besides my guardian. 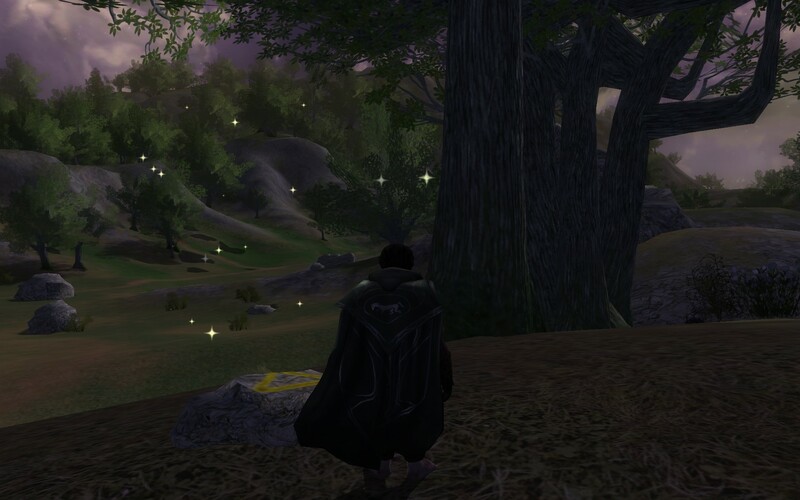 So I logged on my second favorite character, Dhrun the burglar, who is questing in the Echad Dagoras area of Enedwaith. However, I hadn’t played him in months. As a result, I was essentially a level 65 noob burglar. Ouch! I was rusty, and had to re-read the class skills and tooltips, re-recognize the skill icons, re-allocate Legendary points on his dagger and tools, and remember how to fight as a burglar. After a bit of time I was able to play and be somewhat productive as a burglar again. Whew. This made me wonder – does this happens to others? Surely I’m not the only person to take a break and come back to a feeling of déjà vu – familiar yet strange. 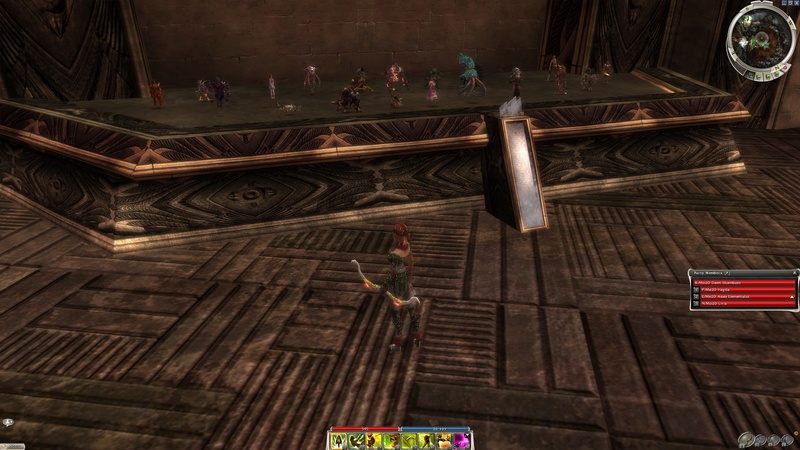 As initially disorienting as it was for me, it could have been worse – I could have returned to a char that underwent significant changes, such as Minstrel or Warden from LoTRO, or the Dervish from Guild Wars. Anyway, I quested around Echad Dagoras, digging up supplies and rescuing captured men. This quest makes me laugh. The Ranger Amarion is over his head and climbed up some rocks to await rescue. Dhrun, hobbit burglar (cunningly hiding in the shrub at the base of the rock), to the rescue! Has it really been 10 months since I last posted? I must be lazy since plenty of other MMO bloggers like Syp (BioBreak) or Wilhelm (TAGN) post several times a week. So I haven’t been playing MMOs recently; instead I’ve been off trying some Indie games (SpaceChem!) and regular RPGs, like Skyrim. However, I feel the lure once again, now I just need to carve out the time. But what games to focus on? Six games I am interested in, and the first four are F2P! That’s sweet and is several hobbies/distractions worth of content no matter how you look at it. I’ve justified two subscriptions to MMOs in the past (reasoning that at $30/month it is a good deal if I can squeeze as little as 5 hours a week of play in), and am tempted to pick up EVE again as my only pay MMO. EVE is a bit of a surprise because I never expected to return, when I unsubbed back in 2009. It’s a great game but I wasn’t getting too much out of it because I was chronically poor. Now it is tempting because I’d know somebody that also play – my coworker runs his own corp, has sufficient funds (he’s apparently reasonably wealthy in game) and offered to provide me with some in-game cash should I reactivate. This is very tempting because I’d like to train all the exploring skills (and associated stealth “hide me from other players” skills) and give that a try. With some seed money I could buy the skill books I need, buy a decent ship and outfit it, etc. And that’s why EVE bumps out SWTOR, as far as piquing my interest. If my coworker didn’t play, I’d definitely try SWTOR first. Actually, I still might since I am curious. It would be nice to have a good sci-fi MMO to play rather than just fantasy MMOs.